Unexpected discoveries and songs that stop you in your tracks. 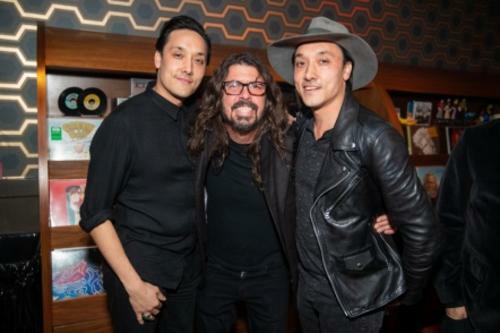 The joy of hanging out in a record store is the inspiration for Park MGM's new speakeasy and club experience. On the Record is a love letter to long-lost music hubs and an exciting new way to spend your nights in Vegas. Los Angeles twins, Jonnie and Mark Houston, excel in creating original nightlife experiences and On the Record, their first venture in Las Vegas, is no exception. The new club is hidden behind a record store entrance off the main casino floor; inside, three rooms, featuring both indoor and outdoor spaces, provide ample space for dancing—or relaxing with friends and exploring On the Record's world-class cocktail program.